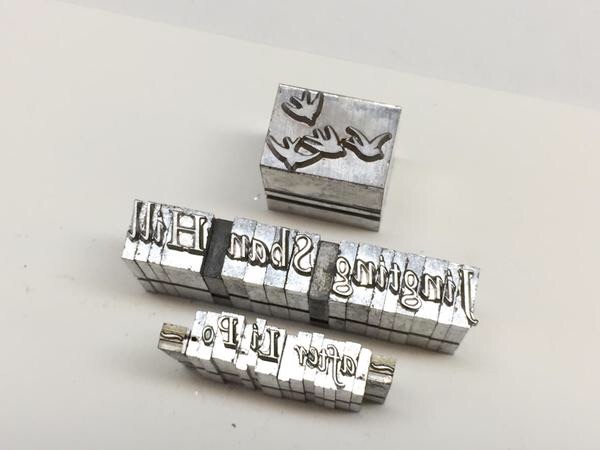 New Broadside from St. Brigid Press is in Progress! 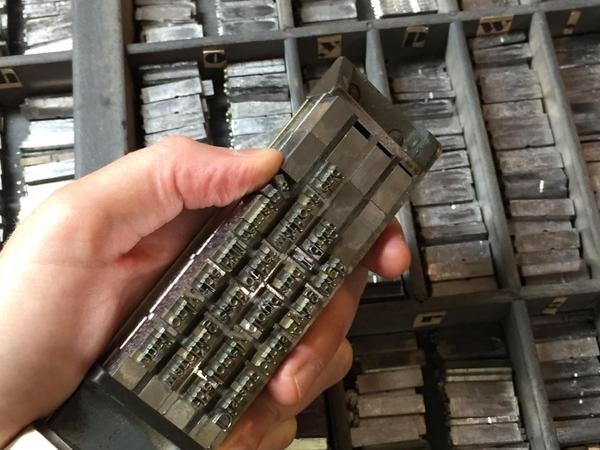 I am pleased to announce that Emily Hancock, extraordinary letter press printer and proprietor of St. Brigid Press, is hand-setting a small broadside of one of my Chinese adaptations. It will be available in August as a fundraising premium for a non-profit press (more details about that later), and the remainder will be offered for sale in September. This entry was posted in broadside, Poetry, publications, Writing and tagged broadside, Chinese poetry, letterpress, poem, poetry, printing, publishing, pulishers, writing by robert okaji. Bookmark the permalink. I’m honored to present a letterpress edition of this wonderful poem ~ thank you for the opportunity, Bob. This is a treasure, Emily. Thank you. It would, indeed. I considered buying one many years ago, but realized that I didn’t possess the requisite patience. Now that I have the patience, I haven’t the time. Sigh. It’s going to be a gorgeous little piece. I’m really thrilled. I blame it on the keyboard. Ha! Looks like you’ve got something wonderful there – matching beauty of words and letterpress. Bob, it will be awesome to see your poetry–and paired with the artistry that is a hand-set letterpress broadside. I can’t wait. Thank you, Bob and Emily! Thanks, Leigh. Emily’s work is stunning. I am thrilled.